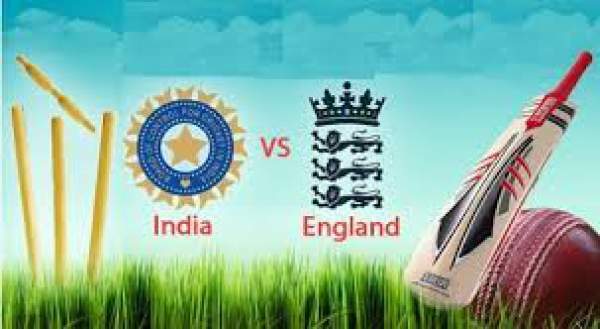 England vs India Live Streaming: The England vs India 1st ODI of the 3-match one-day international series will be played today, i.e., Thursday, 12th July 2018. It will take place at Trent Bridge in Nottinghamshire and the live streaming will start at 5 pm IST. The men-in-blue are high on confidence after beating the host in T20 series. Now, the India national cricket team is looking to play another dominant performance to win this one-day series too. It’s an important cricketing session for both the teams because the Cricket World Cup 2019 is approaching quickly now. This series is being titled as a ‘dry run’ ahead of WC next year. The tournaments before the 2019 World Cup will help the selectors / team management to mix and match various combinations to ultimately draw the best one for the World Cup. The confidence of Indian team must have been improved after defeating England in their home. But, England remains at the top of the ICC ODI rankings. They have arrived here after beating Australia by 6-0 in their last bilateral encounter. It was a morale booster for them as they scored a world record total 481 runs in one of those six ODIs. The Sony networks is the official broadcaster of the tournament. You can catch the latest updates with English commentary on Sony Six and Sony Six HD. And Hindi commentary will be available on Sony Ten 3 and Sony Ten 3 HD. While the IND vs ENG live streaming will be made available on SonyLIV.com and its app. India: Virat Kohli, Shikhar Dhawan, Rohit Sharma, KL Rahul, MS Dhoni (wk), Dinesh Karthik, Suresh Raina, Hardik Pandya, Kuldeep Yadav, Yuzvendra Chahal, Shreyas Iyer, Siddarth Kaul, Axar Patel, Umesh Yadav, Shardul Thakur, Bhuvneshwar Kumar. England: Eoin Morgan, Jason Roy, Jonny Bairstow, Jos Buttler (wk), Moeen Ali, Joe Root, Jake Ball, Tom Curran, Alex Hales, Liam Plunkett, Ben Stokes, Adil Rashid, David Willey, Mark Wood. The next year’s World Cup is also scheduled to take place in the UK itself. So, the team led by Virat Kohli will get the idea and experiences of the pitches in England. Both the teams are having some of the world’s finest cricket players.